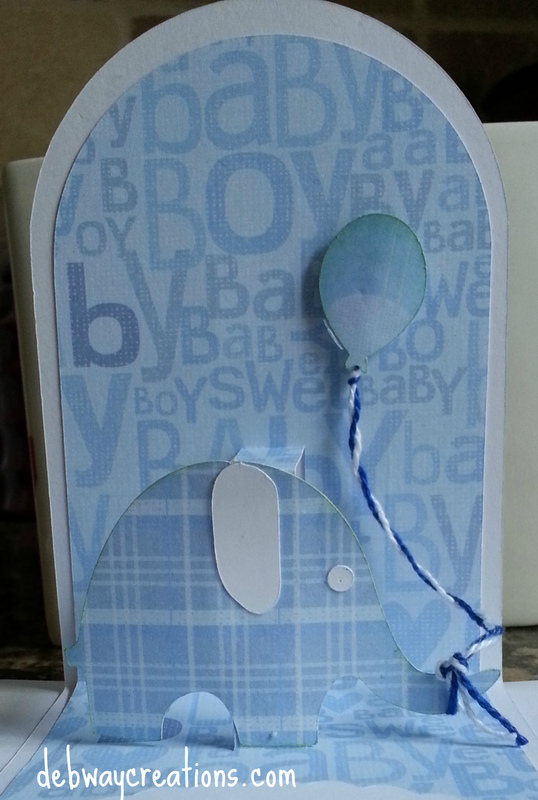 Here are two new baby boy cards that I made . One is for the new grandparents and the other is for the new parents. embossed onto it. 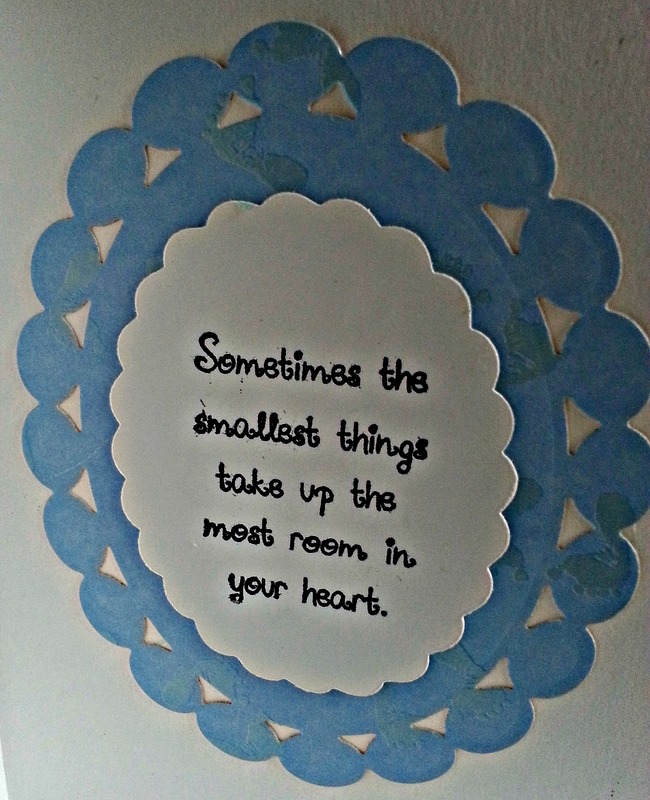 The sentiment is from a stamp set from My Craft Spot”s Bundle of Joy. 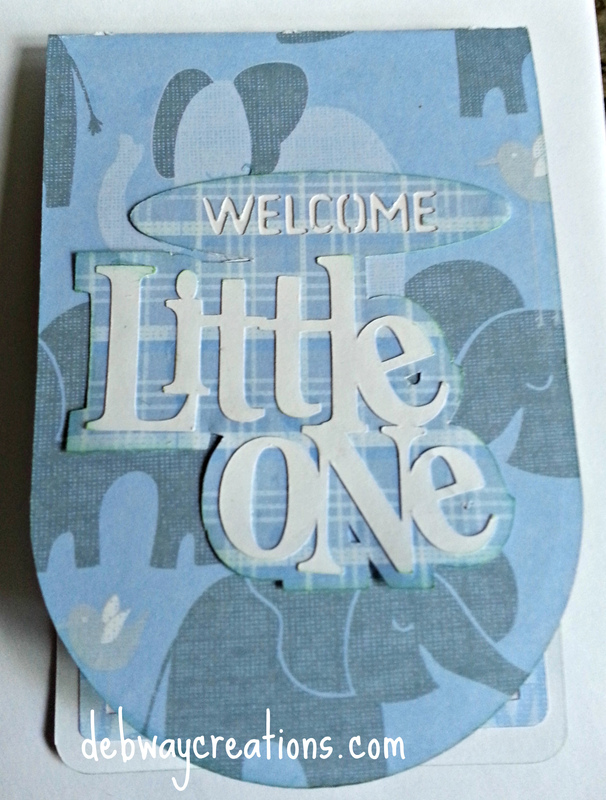 The second card is from the silhouette store -a pop up card with chevron base by Kolette Hall. It was also very easy to assemble. Her website gives a great description of what the card should look like. I love the little elephant holding the balloon . 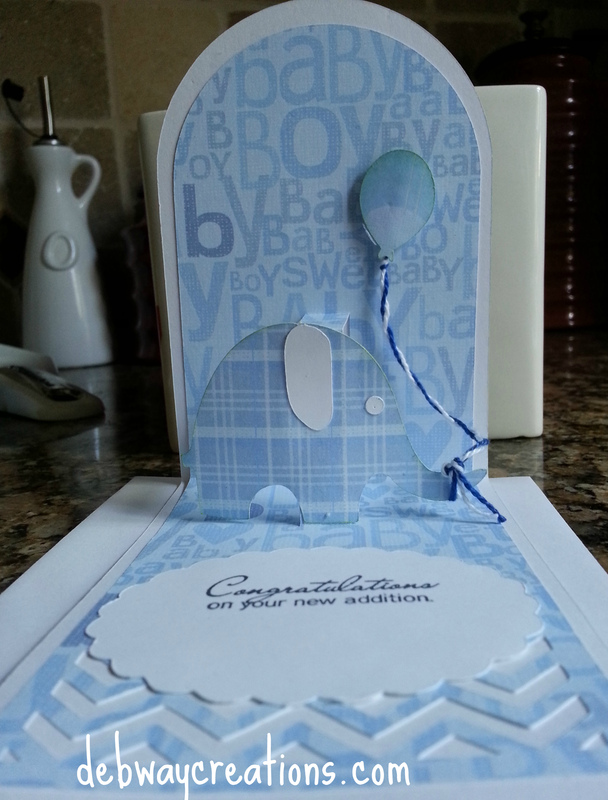 It coordinated beautifully with the paper I had for the front of the card. The sentiment is from the same Bundle of Joy set. I had a lot of fun making these. 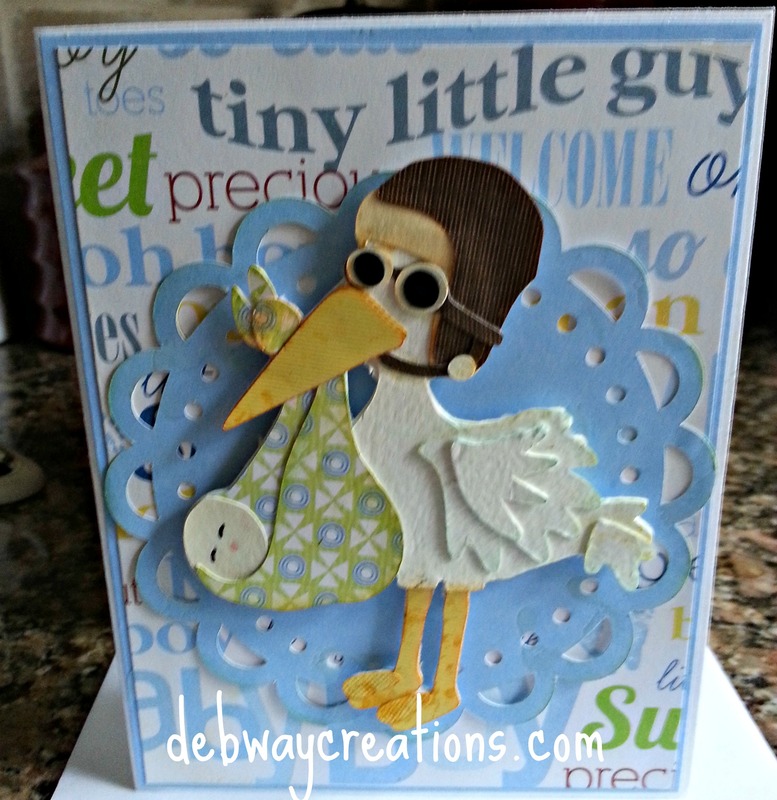 I made this New Baby Card for my daughter’s friend. She just welcomed a new granddaughter to her family. I used a file from the Silhouette on-line store for the little onesies. 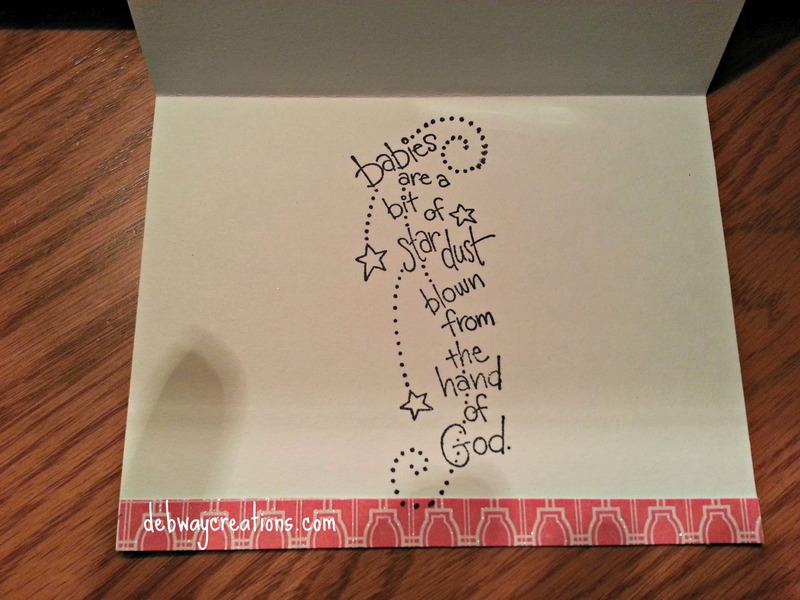 The paper and embellishments are from my stash. The sentiment is a Hampton Arts stamp. 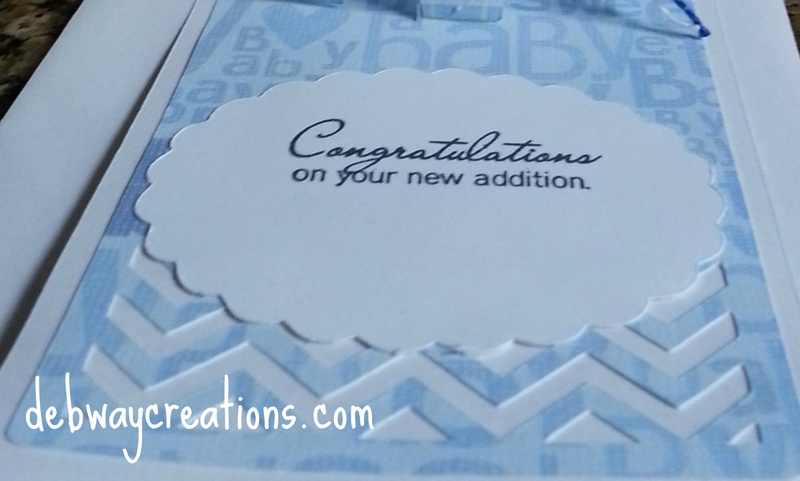 I love making new baby cards. There is nothing as exciting as becoming a new mom or grandparent.